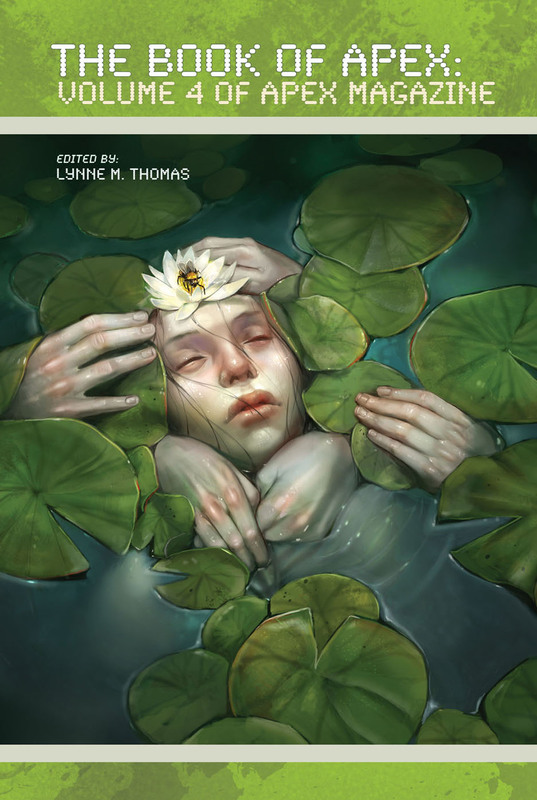 The Book of Apex: Volume 4 of Apex Magazine collects the original fiction from Hugo-winning editor Lynne M. Thomas’s first fifteen issues at the helm of Apex Magazine, which included two Hugo Award nominations for the magazine. Thirty-three science fiction, fantasy, and horror short stories grab readers by their emotional cores to star deep into the source of our humanity and inhumanity. Well-known authors like Ken Liu, Genevieve Valentine, Catherynne M. Valente, Lavie Tidhar, and Alethea Kontis, along with newer voices, sketch surreal pasts, presents, and futures full of characters with familiar and outsized desires and fears. 140,000 words, 368 pages of award-nominated short fiction! The entire run of Apex Magazine through issue 44 has been collected into the The Book of Apex anthology series. Volume 3 features the stories published during Catherynne M. Valente’s time as editor-in-chief. Volumes 1 and 2 features the stories published during my time as editor-in-chief.